Routing number for State Employees Credit Union is a 9 digit code required for initiating various financial transactions such as direct deposits, electronic payments, wire transfers, check ordering and many more. Routing numbers are also known as ABA routing numbers, routing transit numbers (RTNs), transit numbers, ABA numbers, and ACH routing numbers. Routing numbers may differ depending on the region where your account was initially opened and the type of transaction being made. 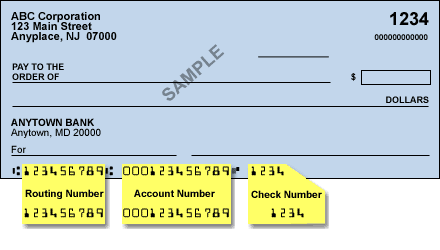 The best and easiest way to find the routing number for State Employees Credit Union checking, savings or business account is to look at the bottom left corner of the check issued to you by your credit union. There are different State Employees Credit Union in many states. These are different entities are operational in one of the states only. Find the routing number for your credit union based on the state you are in as directed below.